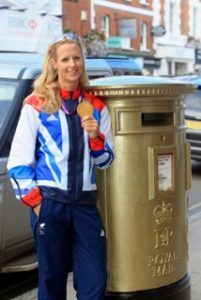 With Olympic silver at Rio 2016, gold at London 2012 to add to her silver medals from Sydney in 2000, Athens in 2004, and Beijing in 2008, as well as six World Championship titles in her collection, Katherine is Britain’s most decorated female Olympic athlete and the first British woman to win medals at five successive games. Since 2015 she has been Chancellor of Oxford Brookes University and is currently Chair of UK Sport. Anna Watkins is a double Olympic medalist and two-time World Champion in the women’s double scull. Anna won Olympic bronze with Elise Laverick in Beijing 2008 before teaming up with Katherine Grainger. This outstanding combination resulted in successive World Championship gold medals and culminated with an unforgettable gold medal-winning performance at the London 2012 Olympics. Six-times World Champion, Naomi Riches was part of the Great Britain Para-Rowing team for a decade and a key-driver in the development of the sport. 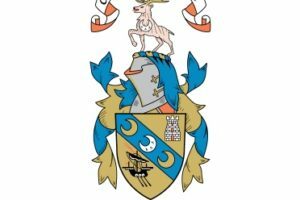 Naomi competed in the mixed coxed fours, winning medals at national, world and Paralympic level during her time in the sport, including a bronze at the 2008 Beijing Paralympic Games and a gold at her home games in the London 2012. Following retirement from full time sport, Naomi became the fastest woman to row the length of the Thames, completing the feat in less than 48 hours in 2016. Born with a visual impairment, Naomi’s journey has not been without its challenges, but her ability to recognise the positives in the world around her and her determination to succeed serve as a true inspiration to empower young people to achieve their goals and dreams. 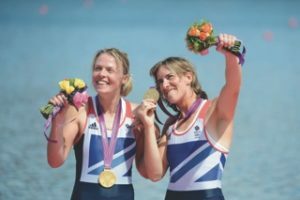 Jess is a role model to young rowers, having been part of the history-making women’s eight boat, which picked up silver at the Rio 2016 Olympic Games (Team GB’s first ever medal in the event) as well as gold at the European Championships the same year. 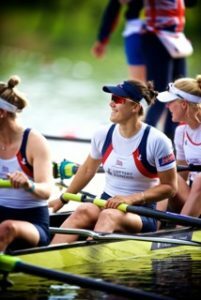 Eddie first represented Team GB in the women’s quad at the World Junior Championships in 2001 aged 17, but moved to the women’s eight for good in 2007. She is a double world medalist at both under 23 and senior level. Jess is currently rowing coach at Putney High School. She coached the J16 coxed fours girls to victory at last year’s HWR and saw recent success at the National Schools Regatta 2018 with the J18 girls taking gold in the coxed fours. Another win at Henley is firmly in her sights!